Caroline Lawrence on Story Crafting for Children. A recent trip to the British Museum happened to coincide with one of Caroline Lawrence’s presentations to children. Unfortunately the PowerPoint presentation she had been prepared could not be used. 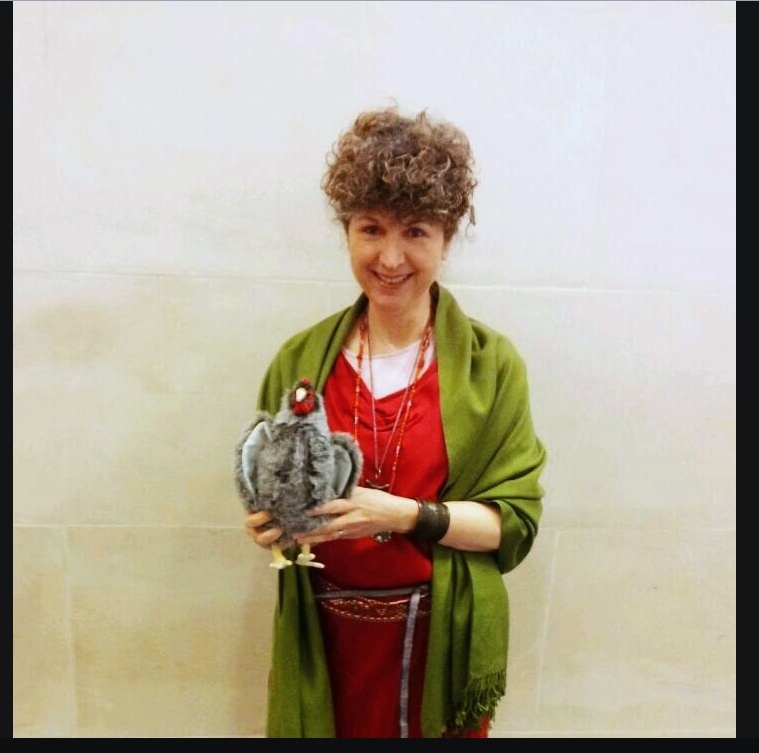 Caroline gamely carried on with only her sacred chicken for company, and effortlessly kept everyone engaged for the whole of her presentation, which goes to show how in tune she is with her audience. ‘The Roman Mysteries Series’ and ‘The Roman Mystery Scrolls’ have proved very popular and a wonderful way to get children interested in the classical world. Her new ‘PK Pinkerton’ series, written from the engaging viewpoint of PK, a young detective, is also beginning to gain a following. How did you begin your writing career and how did you learn to write books? I’m passionate about story structure: why certain beats have to be in a certain order for a story to be satisfying to people. I learned this from Hollywood screenwriters. 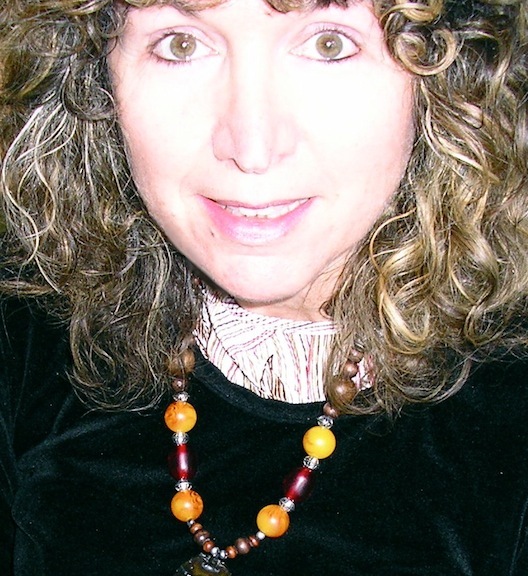 I wrote my first book in about 1992, because I’d just met my husband and was so impressed that he was a writer. But I realised very quickly that I didn’t know how to write structure. I wrote a story that was 20 chapters of description and then two chapters of plot squished in at the end. That was when I realised that no one had ever taught me to write plot. I didn’t read English at school, I read Classics. I borrowed the tapes and listened to them over and over again. I used them to transform the story I had originally written into a screenplay. This took me about a year to do, but in that year I learned Truby’s principles. He’s got 22 beats (or steps), but of those, 7 beats are crucial. 1) The hero who has a problem and often in need. They also probably have a lack or flaw in their character and something they need to learn. These things will be resolved by the end of the story. This is all in the first part of the chapter or paragraphs. It sounds very simple, but I’m still trying to master it. It took me a year to begin to get the basic idea. Late in July of 1999, I got the idea for ‘The Roman Mysteries’: ‘Nancy Drew in Ancient Rome’. As soon as I thought of that, I had a cascade of ideas of how I could make a girl detective in ancient Rome using Truby’s structure. 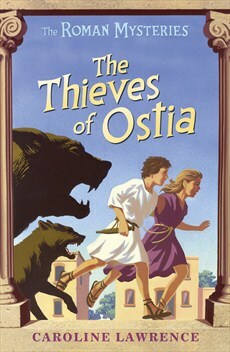 So I wrote the first draft of The Thieves of Ostia in about a fortnight. First I plotted out the seven beats and then did brief chapter summaries. Then I wrote it in the last two weeks of the summer holiday. It only needed a little editing and came in at about 40,000 words, ideal for a kids’ book). I didn’t bother to plot out my next book. The Secrets of Vesuvius took me a year to write and 43 re-writes. I had to cut out about a third of it – about 20,000 words! – but from then on I always did my 7 plot beats to keep me on track. It’s so basic that it’s like a road map. If I am travelling by car to Edinburgh I don’t mind the odd diversion but don’t want to end up in Lands End. That’s why I need a map: to keep me on course. Making an story-plan this basically uses the analytical left side of the brain, but it also gives the creative right side of the brain plenty of room for imagination. So it’s a nice blend of using left and right brain. Films are very influential in your writing, for example, you begin the PK Pinkerton novels with PK saying they’re (because we’re not sure whether PK is a girl or boy) going to die. I love movies and I still get ideas from everywhere. For example, at the moment I’m working on a one-off story idea and thought I’d start with the first line ‘I am dead.’ There are two films that start off with someone dead. One is ‘Sunset Boulevard’, where it starts with William Holden’s voiceover and he’s floating in a swimming pool. The same thing happens in ‘American Beauty’: ‘My name is Lester Burnham etc.’ You know he’s somehow still there. I did something very close to that with the first PK Pinkerton book. What happened to the script of the first book you wrote? It’s still in a drawer. It was a story about an autistic boy in a Syrian monastery. I’m interested in the idea that certain monks are visionaries and can see a spiritual realm. I’m fascinated by the idea that there’s a spiritual world, almost like a parallel universe, a spiritual realm with demons and angels battling each other. I studied Syriac, which is a dialect of Hebrew that the early Christians used. There were extraordinary monks who lived in the 6th Century AD. They went out into the desert to do battle with demons and engage in spiritual warfare. I wondered what that would be like to witness one of those spiritual battles. My book was about a boy (because I’ve always been attracted to writing for the 11 to 12 year old age group), who’s autistic and lives in a Syrian monastery and he has visions and sees things. But when I changed it into a screenplay, I realised you can’t do a movie about an interior life. So another character became the main character, a charioteer. I changed the title of the book from The Scribe to The Charioteer. You’re interested in writing for the 11 to 13 year old age range, but you’ve also written books for younger age groups in The Roman Mystery Scrolls. I’ve tried! But from the feedback I’ve had, the vocabulary and names are too hard for 7 and 8 year olds. Some writers find it easy to switch from one age group to another, but I guess I’m not one of them. I tried to write for adults once and I found I couldn’t. I think this is because the age I can relate to the best is 9 to 11 years old. It’s a wonderful age group, where you’re just on the cusp of adulthood. That’s interesting because, with your books for the 11 to 13 years old, there are quite a lot of subjects that are about this transition into adulthood and the young people in them noticing adult behaviour and beginning to engage themselves in adult behaviour. But in Ancient Roman people didn’t live as long as they do now. Well actually in Roman times, if you lived to 25 you had a good innings. I personally still don’t really understand adults and the way they operate. I think that’s why I have an 11-year-old mentality. My books are detective stories solving the mystery of how adults work! How do you live in the world as an adult? That’s why my books feature children glimpsing and partly participating in the world of adults. Yes, because the reader is seeing the adult world through the children’s eyes. But these children are adolescents, PK is thirteen at the start of the books. Flavia is 10 at the beginning of The Roman Mysteries and about 13 at the end of the series. They’re still innocent at that age, but they’re just beginning to see the real world as it is. I just love writing about that. What response do you get from your readers? Usually fans write in to praise, not criticise, thank goodness. But sometimes a parent or teacher will challenge me about the ‘grittiness’ of the worlds I show. Virginia City in the 1860s (the setting for the PK Pinkerton books) makes Ancient Rome look like a vicar’s tea party. You’ve got whores, gamblers, tobacco in all forms, gunplay, greed, everything. It really makes the Romans look quite tame. Part of the fun is showing a gritty world. You can’t show everything, because it is a children’s book, but you can hint at it. What do you think makes a reader feel immersed in a world? I’m a very sensory person and like to live in a concrete world. What transports me to a world is the detail, the smells, the sights, the sounds, food, the way the light feels, even the way your ears pop when you go up a mountain. For me, it’s the setting that’s the most compelling thing about a book. When I go to schools I say that books are made of three things, the who, the what, the where. The who is the Character, the what is the Plot and the where is the Setting. So then I find out which of these three things they are most interested in. Personally, I’m in the final category. I’m most interested in the where. That’s why I had to teach myself how to write plot and to write character, because those aspects didn’t come naturally to me. I needed a formula to write plot. Having this formula really works very well for me. Was it a stream of consciousness when you first began writing? No, but I would get distracted by peripheral character, and they would lead me off track. And I didn’t realise that most great stories have a battle followed by a revelation. I think this is why stories resonate; this is the process of how we learn. You don’t learn something unless you have to struggle with it. Also, sometimes you don’t achieve something unless you’re willing to let it die and say, ‘Okay, I really want this thing, but I’m willing to let it go.’ There is often a death and resurrection, that’s when the hero comes back stronger, different and more determined. I’ve just been to see the new Star Trek film ‘Into Darkness’. It hits all the beats that Truby talks about. JJ Abrahams knows how to keep you right there with him. There’s never a moment when you’re bored with the story. When you’re writing a Hollywood screenplay, you have to know what you doing, because if you blow it you could be looking at a $250 million loss. I actually borrowed some of my favourite archetypes from Hollywood films; I have the Hero, the Faithful Sidekick, the Funny One, and the Wild One. This gave me four characters which made me think of the four elements that the Greeks and the Romans believed in. Flavia is air, Jonathan is Earth, Nubia is fire, Lupus is water. Don’t you think this is why your books work so well with your audience? Because they have a reliable formula and that helps them enter the world and in a way is very much like reading a soap opera. Yes and it’s also the perfect world primary students. The key stage 2, because it’s a concrete world and very sensory. It’s formulaic, in the sense that they pretty much know how the four young Romans will react. Because I try to put them in different situations that then creates a surprise. If I go to a movie or I read a book and know how it’s going to end, that’s very disappointing. If I’m surprised, then I love that. You’re a classicist, but how much research have you had to do for all these books? I love the research. For example, in The Sirens of Surrentum, I wanted lots of poisonous plants, so I went to the Chelsea Physic Garden to talk to experts there. I read lots and went on the Internet, too. I like learning a new subject that I don’t know anything about. How do you get the balance between creating the world and the reader not feeling as if they’re getting an information dump? It’s a case of dropping a fact here or there. And rather than having a paragraph of description, sprinkled it in throughout. Speech markers are useful for this. Instead of: ‘This tea is really good,’ he said. ‘This tea is really good,’ she inhaled the lemony scent. Do your readers relate to the characters? Yes. I’ll be signing books and a little girl will come up and say, ‘I love your books.’ So then I say, ‘Who’s your favourite character and she’ll say,’ Flavia’s my favourite character, because she’s just like me.’ And the mother’ll be nodding and saying, ‘She’s a little madam.’ Then I’ll get other kids saying in a very shy voice, ‘I really like your books.’ And I say, ‘Is your favourite character Nubia?’ and they nod. But you also get girls love Lupus and boys who admire Flavia. 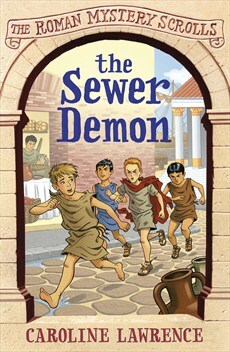 ‘The Roman Mysteries’ series came first. I wrote the Roman mysteries and thought that 17 books were enough. I wanted to do a young adults’ trilogy spinoff. I wrote the first one, but it was deemed too risqué and I was told I couldn’t publish it, because I essentially have a franchise and an established readership. Why did you choose the Wild West in the 1860s for the PK Pinkerton books? So that was the germ of the PK Pinkerton books. I’d been thinking for a long time about writing a character from the first person point of view, and we’re not sure if the narrator is a boy or girl. I got that idea when I was reading The Towers of Trebizond by Rose Macaulay. I also liked the idea of PK being a misfit. Neither child nor adult, neither boy nor girl, neither Native American nor half white. PK doesn’t really fit in anywhere. PK is also slightly Asbergers. The interesting thing about Asbergers is that there are so many different types of autism on that spectrum. Another element is PK’s prosopagnosia, or face-blindness. PK also suffers from post-traumatic stress. With all these handicaps, PK has to learn to survive in a very harsh world. 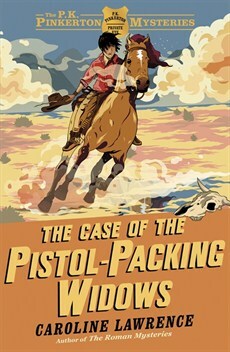 I have tried to give the book a kind of deadpan humour like my favourite Western film, The Good the Bad and the Ugly. Or my favourite Western TV show: HBO’s ‘Deadwood’. I sometimes call the PK books ‘Famous Five in Deadwood’! I’m also discovering some extraordinary writers from my heritage, like Bret Harte, Dan de Quill and Artemus Ward: all contemporaries of Mark Twain, who was the magnet who sucked all the great quotes to himself. Some of these writers are often wittier the Mark Twain and I think that Bret Harte is a better writer for structure and subtlety than Twain. He also created the archetypes that we see in Westerns. I’m very excited by this whole new sea of literature. How has that shift from Rome been taken by your readers? It’s taking time for them to get used to the new style, but for the moment I’m having enormous fun living in PK’s world. One thing I realised is that they’re quite similar worlds. Virginia City is about the same size as Ostia, with about 50,000 to 80,000 people, so it’s a town not a city and is surrounded by barbarians and danger. The medical equipment and knowledge is about the same. They’re both horse powered societies and there are other common denominators in both those worlds. You make a joke about ‘The Roman Mystery Scroll’ series that ‘There’s more poo, less blood’. These do seem to be subjects that children are interested in, while adults are horrified that they should be. Well again, it’s a case of, ‘What would it be like then?’ My husband read history at Cambridge and is the first rule of history is they didn’t have toilet paper, so what did they do? I’ve posted several blogs about this topic. It’s a wonderful ‘in’ for kids, because this is something they can immediately relate to. It gets them thinking ‘What would I do if I had to use a pebble?’ That’s always fascinating for them. Where you think you’re going to go after PK Pinkerton? I think it’s going to be Aeneas’s son, Ascanius. I’m reading the Aeneid in an adult class in Latin and we’re doing it quite an advanced level. I’m astounded by the cinematic quality of Virgil’s writing: the colour, the pathos, the metaphors, and the points of view that the zoom down and pull out. I was thinking a few months ago, ‘Why has no one done screenplay of this?’ The reason is because Aeneas is not a very interesting character. Ascanius on the other hand could be an interesting character. Again, it’s that 9-12 age group! I can plunder Virgil, whose writing is so vivid, creative and simple. I am always trying to get boys interested in reading and there is plenty of violence in Virgil. The Aeneid is an interesting extended work, because it was really a propaganda exercise, but Virgil was also very good at stage setting. If any leaders today could get a writer like Virgil and say to them, ‘I want you to make me a creation myth. I want you to make one of my ancestors God, who escaped from Troy,’ if would be an amazing feat of propaganda. The Aeneid is just brilliant on the macro sense as well as the micro sense. I was recently talking to a Latin teacher who said when she teaches Virgil she sometimes cries, even though she knows his passages so well. Yes, it will be a joy and a privilege to immerse myself in Virgil for a few years. « Zoë Fairbairns. The Benefits of a Wealth of Experience.